Are we there yet? It would take a long time to get to the end of this road. 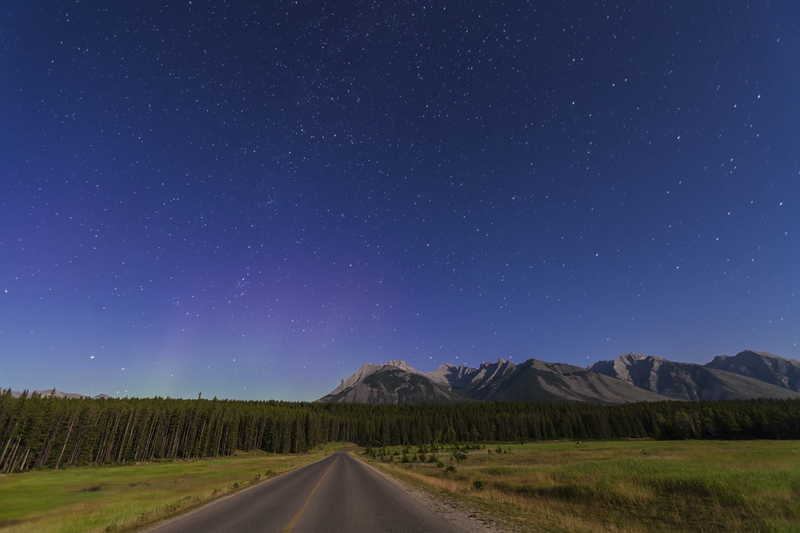 A road in Banff appears as if it is heading toward the autumn constellations rising over the peaks of the Fairholme range in the Canadian Rockies. 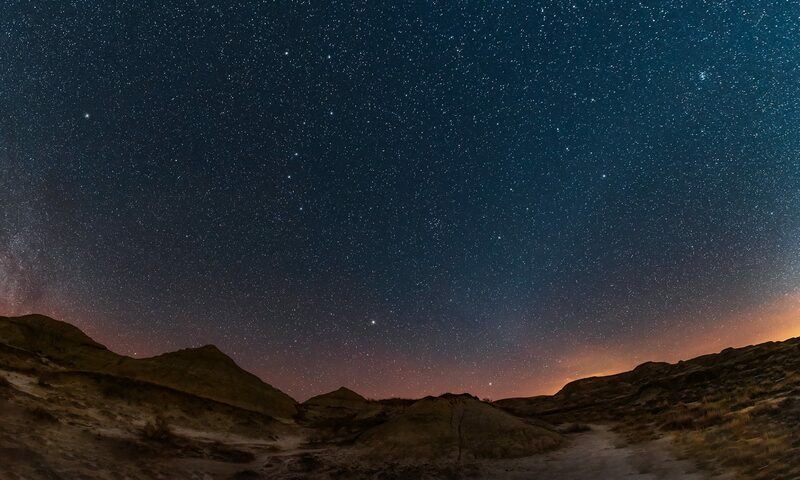 The stars of Andromeda (centre), Pegasus (right), Perseus (left), and Cassiopeia (above left) make up the panorama of mythological heroes populating the northern autumn sky. In the sky above the road the small smudge of the Andromeda Galaxy is visible, shining from 2.5 million light years away. A faint aurora at left adds to the moonlit scene. I shot this Sunday, July 29, moments after taking the image in the previous blog, which was looking the other way, north toward Cascade Mountain, from the meadows north of Banff. This was a very photogenic spot.